284 Commercial Real Estate and Properties in Western Qld are listed in 9 categories. We have 91 Industrial Warehouses for Sale & Lease , 63 Retail Shops for Sale & Lease , 57 Development Lands for Sale & Lease , 55 Offices for Sale & Lease , 10 Hotels and Leisure for Sale & Lease and 7 Commercial Farms for Sale & Lease . This premier property is part of the districts original history being the homestead for what was a large land holding grazing property. The original Colonial residence is stunning in its detailer timberwork and is used as a 50 seat restaurant and cellar door large commercial kitchen with modern facilities plus private residence to the rear. Two unique tourist accommodation buildings beautifully tucked in the tamed bush ideal for weekend getaways as either a romantic couples or as a group event. 256 acres on 3 titles over 6 acres of wine grapes (around 4,750 vines) Cab Sav, Shiraz, Chardonnay, Colombard, Malbec and Black Muscat producing on average 18 tonnes per annum (maximum to 23 tonnes in some of the better years). The property is currently running around 30 head of well fed cattle and there is the potential to carry considerably more if you want to go that way. Plenty of land and water to increase the vineyard as well current owner estimates up to 80 acres. This charming property can be continued to run as is on a walk in walk out basis or revert to a luxury Colonial lifestyle, run more cattle and tourism and sell the wine grapes to other local wineries. With excellent views, a real rural atmosphere, closeness to all amenities and only minutes to Stanthorpe CBD, this could well be the change that you deserve. Call Logan Steele to arrange an inspection. Industrial land at this price is hard to find, the block is situated at the end of the court on a tared road and has power, water and sewer available. 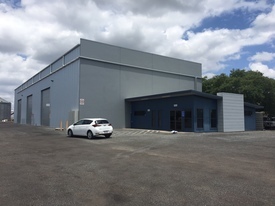 The land is surveyed and is sloping from the road side to the back, with a 30.7 metre frontage and approximately 60 metres deep ready for your new industrial complex. This is a great opportunity to purchase industrial land with all facilities available at a bargain price.The neighbouring 2,000M2 block is also available for sales offering the opportunity of a much larger Industrial/Commercial project. For further information and to arrange an inspection call Logan on 07 4681 3311. "new England Larder" – Est. 1997 Fine Food Providore The Perfect Balance Of Lifestyle – Travel – Very Profitable Income $339,000 for Business + S.. 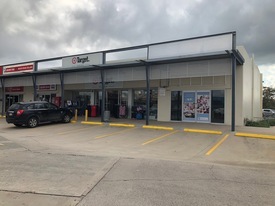 Located in the Central Queensland town of Theodore, this leased Service Station represents a quality investment opportunity. 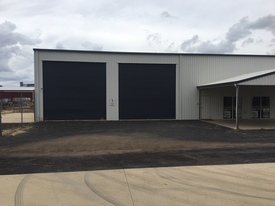 At the southern end of the Bowen Basin, Theodore is located in a rich agricultural region within close proximity to the southern Bowen Basin coal mines. 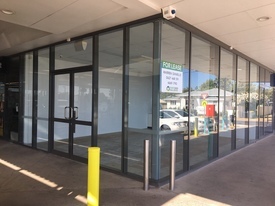 :: 991m2 total site area :: Currently leased to long term operator :: Opportunity to owner occupy upon expiry of lease :: Only 7 day Service Station in Theodore Contact the agents for lease details. The property must be sold and all offers are invited. The best value Fish & Chip Café for sale – the locals love it and its profitable. The owner’s circumstances have changed – Present all Offers. Saltys Seafood is a long established business that Chinchilla residents have been enjoying for many years. 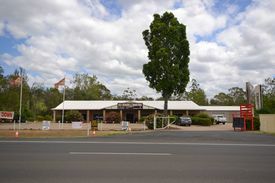 It is located in the main street of Chinchilla offering plenty of parking for the take away customers as well as plenty of space for clients to walk in and relax while eating their favourite fish. Currently trading 7 days a week 11am – 8pm All plant and equipment are in excellent condition with a majority of the equipment recently been purchased new or serviced, with none of the equipment under a lease plan. Making trading easy from day one. • Reasonable low rent • Both inside and outside dining • All fixtures, fittings and equipment included • Stock will be sold on valuation • Onsite Staff Amenities • 2 Car Spaces for Staff This leasehold business is now on the market with motivated vendors. Financials will be supplied to genuine interested buyers and a confidentiality agreement may be required prior to inspection and release of documents – Make your enquiry today. This quality facility was constructed in 2010/2011 and comprises a workshop/warehouse and offices. The workshop/warehouse has a floor area of 1,000 Sqm It has three roller doors and a dual gantry crane installed. The modern and functional office is 100 Sqm, with four individual offices, reception, conference, lunch room and staff facilities. Extra toilet facilty in Warehouse / shed. The land area is 5,011 m2 – it is security fenced and has bitumen hardstand. It also has a internal wash bay. It is Zoned “light industrial”. The property is well located in the western industrial area and will suit a variety of uses. Annual Rent: $170,000.00 plus outgoings plus GST. Sale Price: $1.95 Million plus GST The property is Currently VACANT. Phone Warren Daniells on 0427 468 591 for further information. NB: Prospective purchasers should satisfy themselves by inspection or otherwise as to the accuracy of the above details. 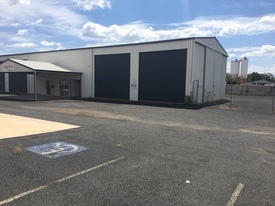 This industrial/commercial block is in a prime position – 2 road frontage so has excellent visibility to promote your business; near level so limited costs should be incurred with the usual 'cut and fill' scenarios; already fenced; town water, sewer access and wheelie bin service and mains power. Industrial and commercial land is as 'rare as the proverbial hen's tooth' and this is a larger than usual block and in that excellent prime position. The location is such that even B doubles have easy access from the Industrial Estate to the New England Highway. Contact Logan Steele for any further details or to arrange a viewing – phone 4681 3311.